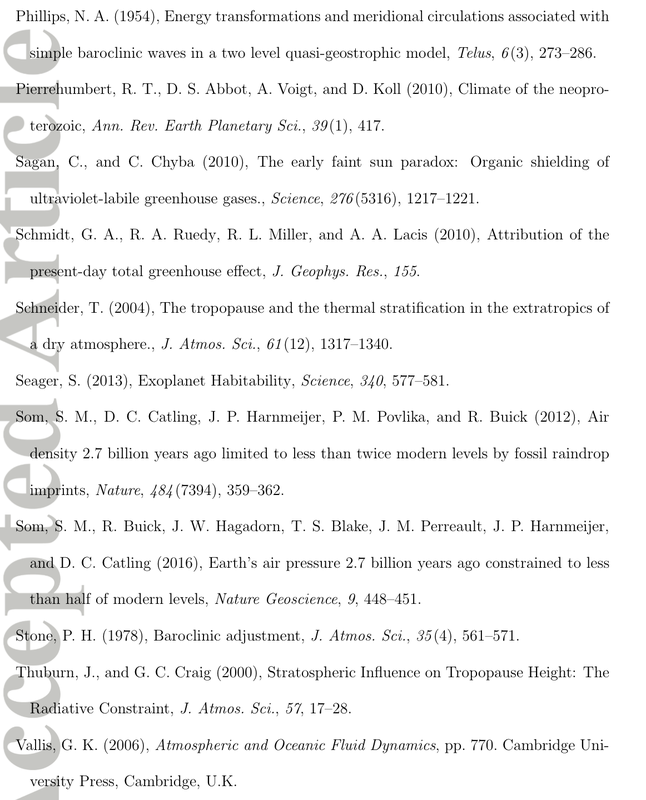 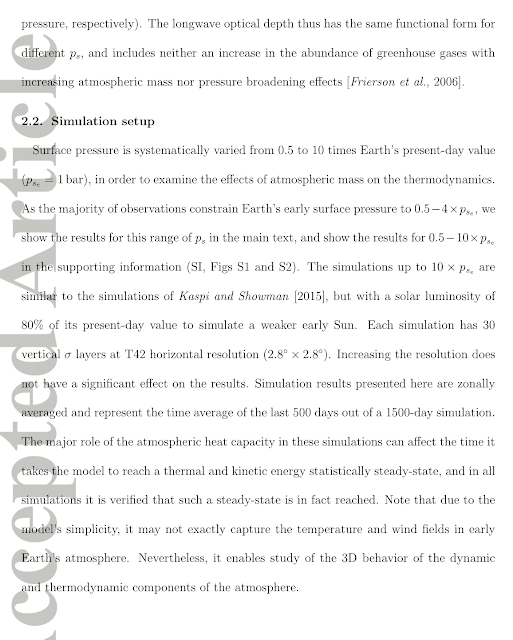 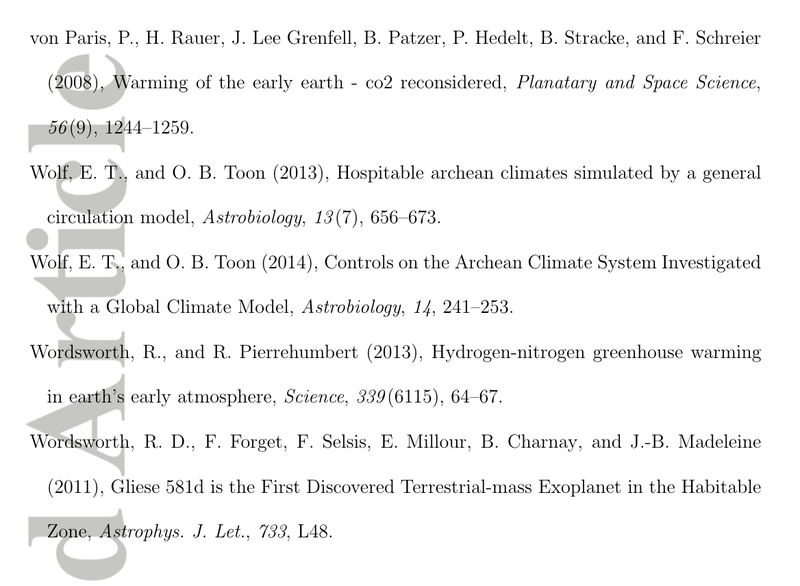 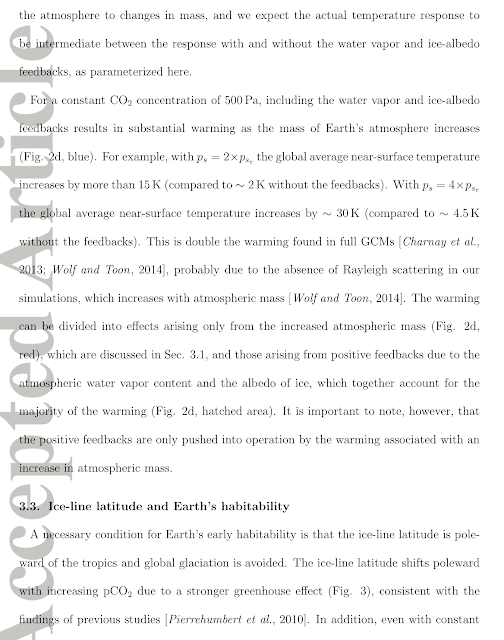 A paper published today in Geophysical Research Letters confirms the gravito-thermal greenhouse effect in Earth's atmosphere using a computer model of the lower-mass early Earth atmosphere compared to the higher-mass present day atmosphere. 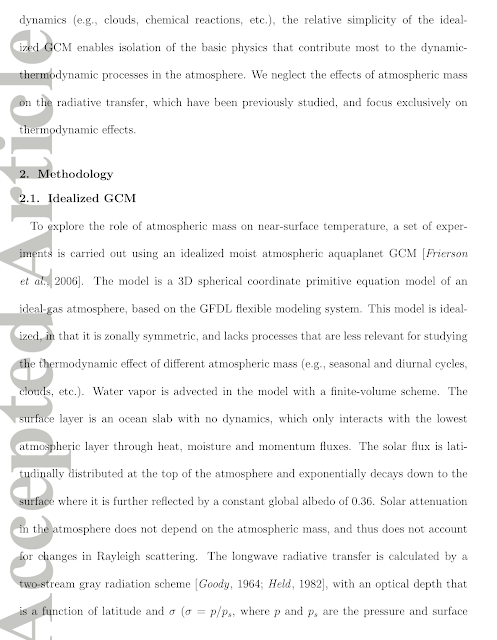 Using a 3D idealized global circulation model (GCM), we systematically examine the thermodynamic effect of atmospheric mass on near-surface temperature. 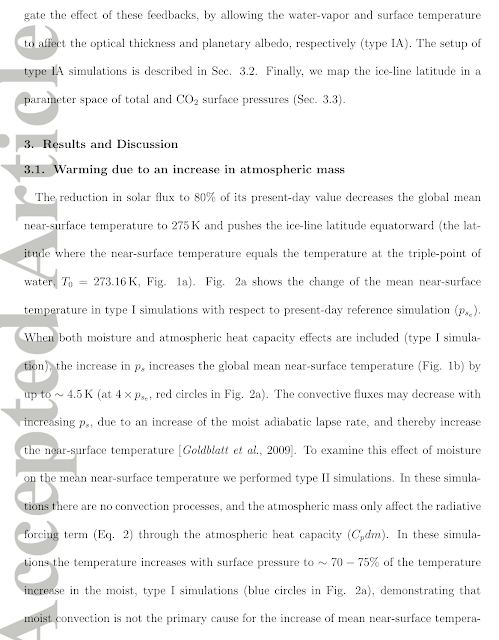 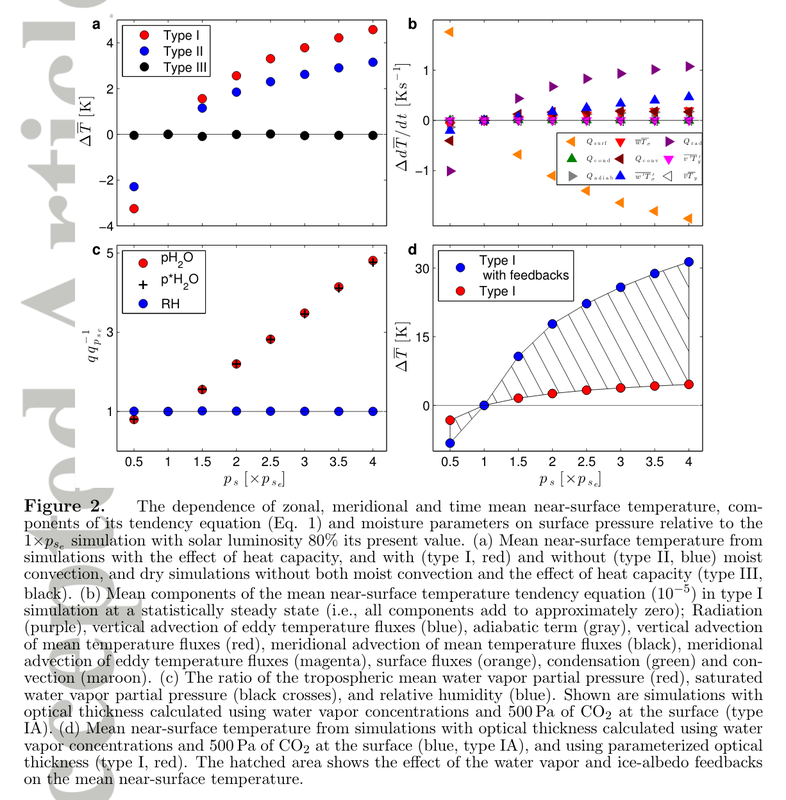 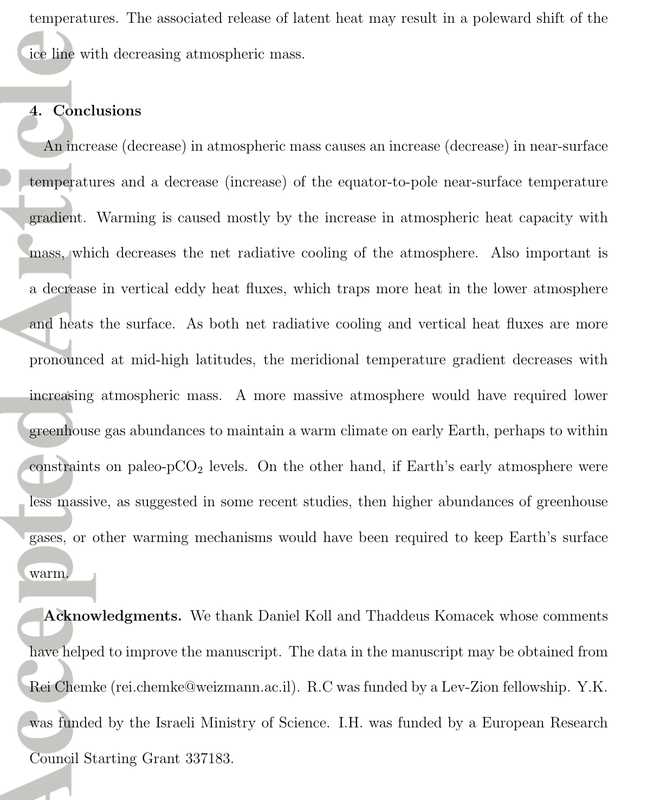 We find that higher atmospheric mass tends to increase the near-surface temperature mostly due an increase in the heat capacity of the atmosphere, which decreases the net radiative cooling effect in the lower layers of the atmosphere. 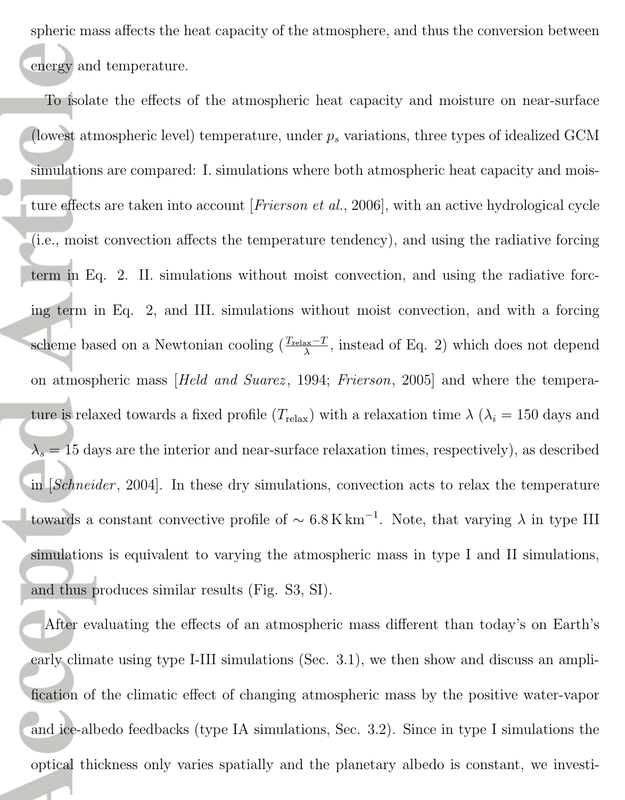 Additionally, the vertical advection of heat by eddies decreases with increasing atmospheric mass, resulting in further near-surface warming. 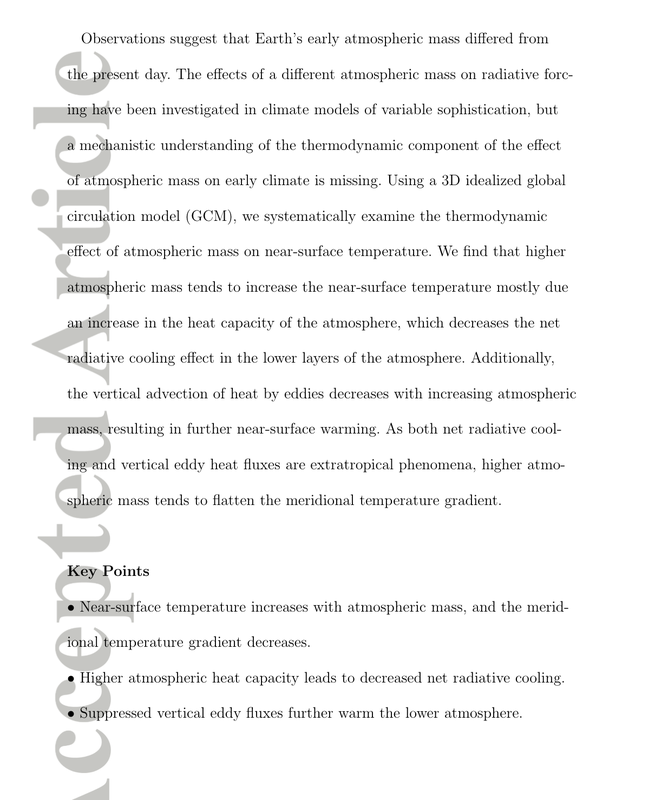 Increased atmospheric mass, which decreases low-latitude radiative warming and high-latitude cooling, tends to flatten the meridional temperature gradient and this may ... trap heat at the surface." 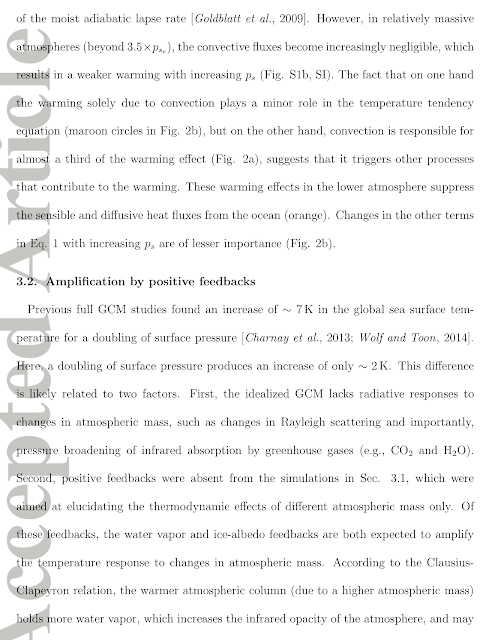 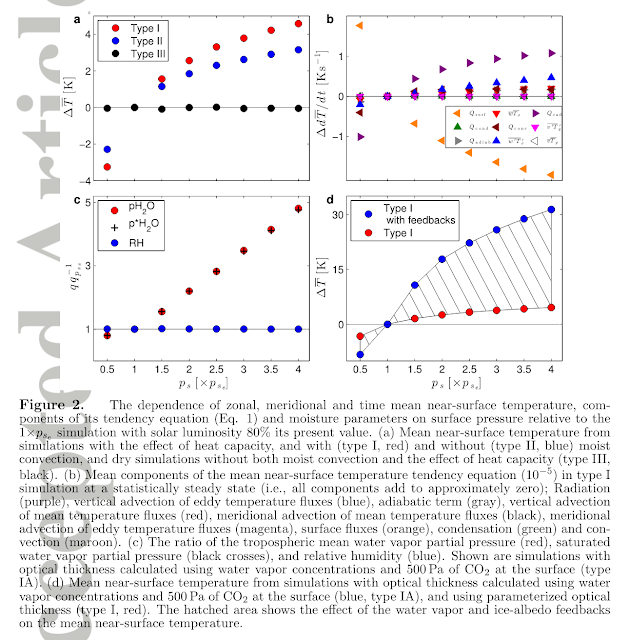 According to the authors, a doubling of surface pressure causes a large surface temperature warming of 15C after all feedbacks. 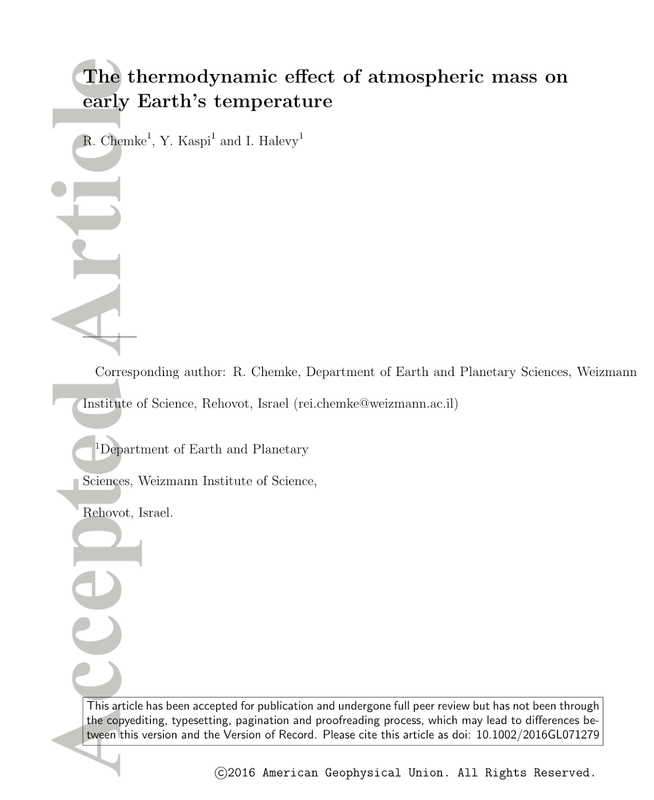 An increase in atmospheric mass causes an increase in near-surface temperatures and a decrease of the equator-pole near-surface temperature gradient. 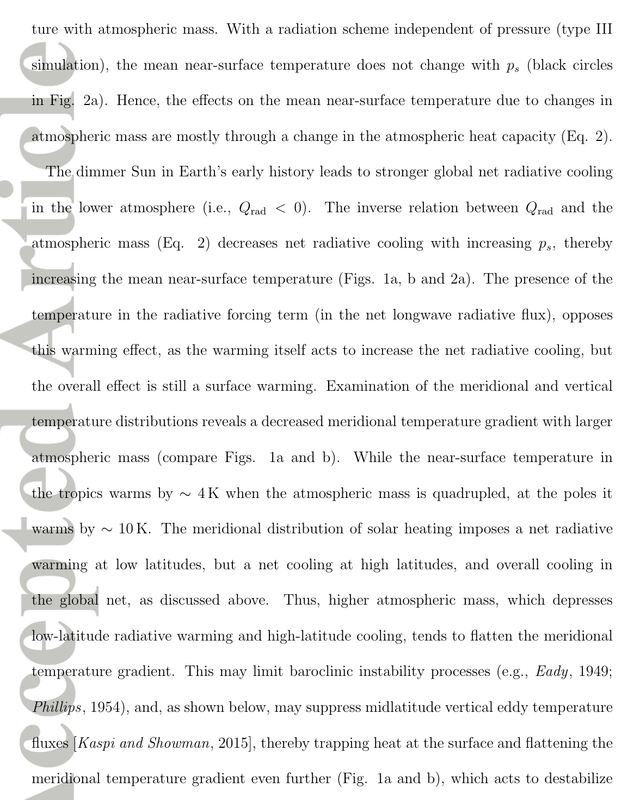 Warming is caused mostly by the increase in atmospheric heat capacity, which decrease the net radiative cooling of the atmosphere. 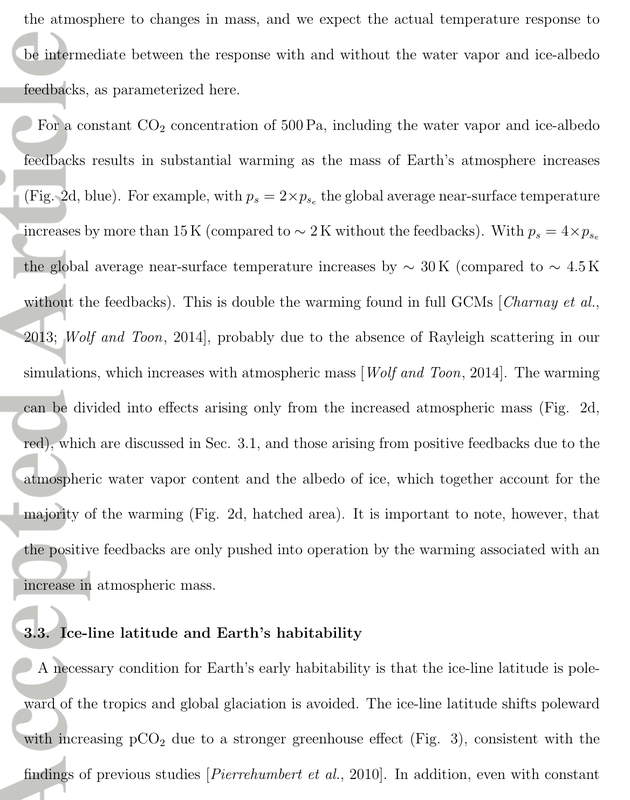 Thus, the gravito-thermal greenhouse effect has been modelled to cause a ~15C surface warming per doubling of atmospheric pressure on Earth. 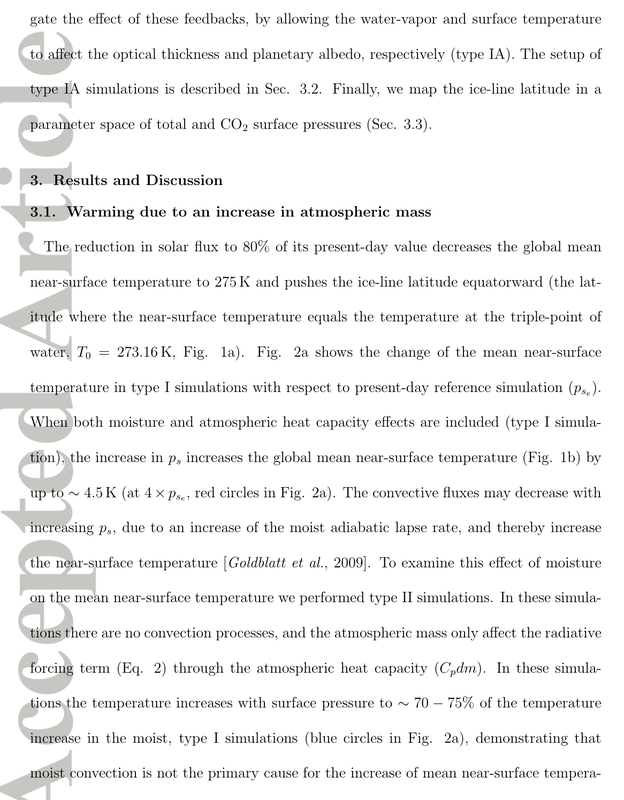 This is compared to a ~3C surface warming per doubled CO2 according to the [faulty] IPCC models. 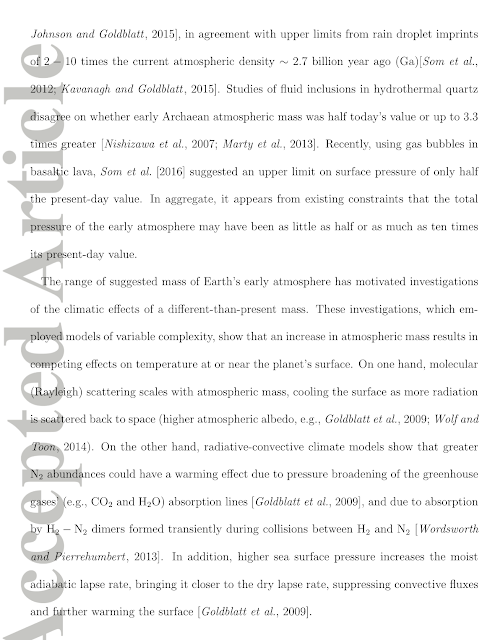 The ~33C gravito-thermal greenhouse effect on Earth leaves no room for an additional 33C Arrhenius radiative greenhouse effect, thus ruling out any significant greenhouse effect from increased CO2. 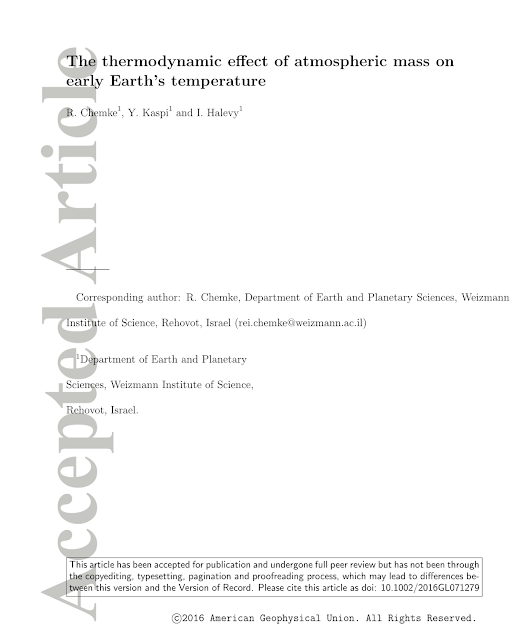 Observations suggest that Earth's early atmospheric mass differed from the present day. 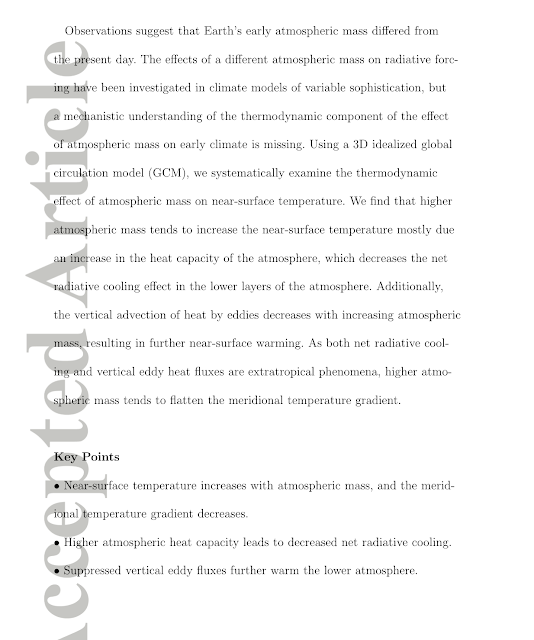 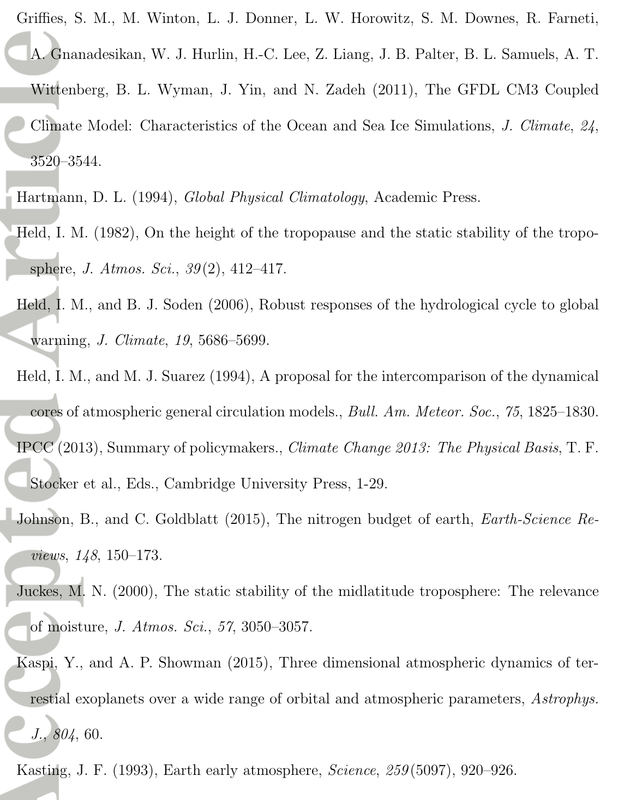 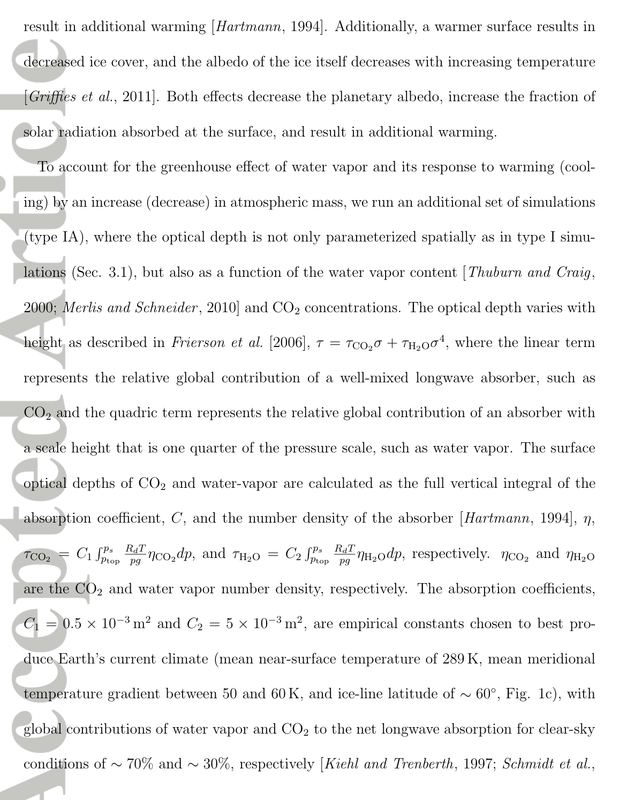 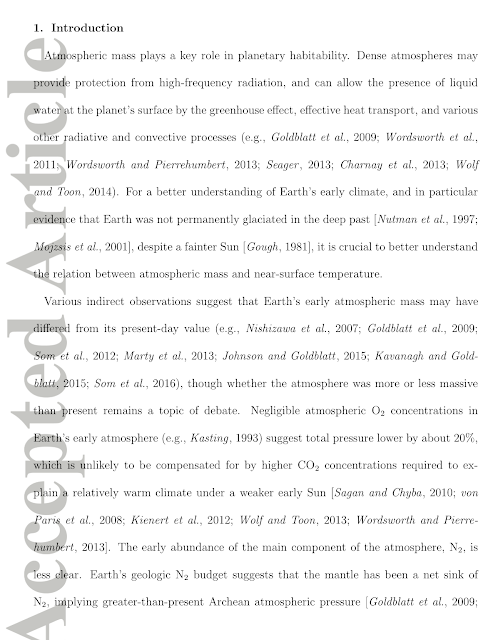 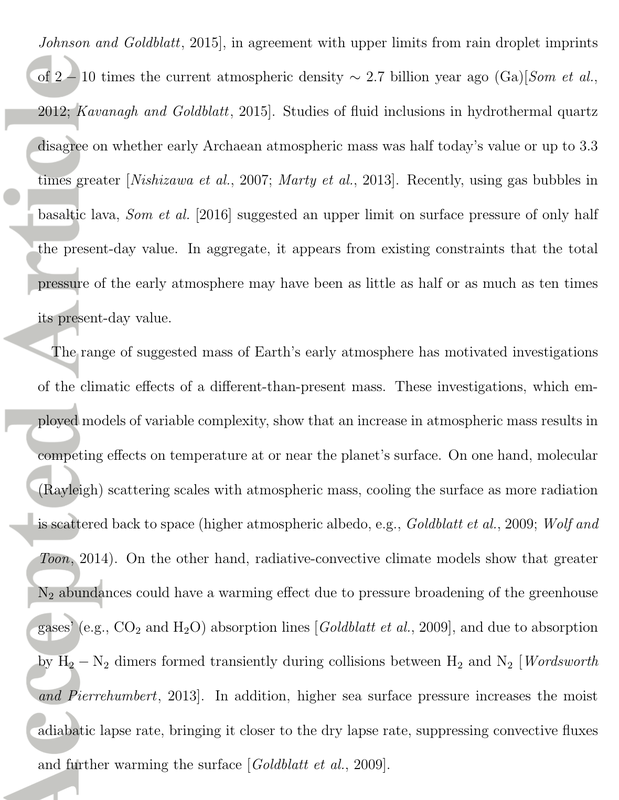 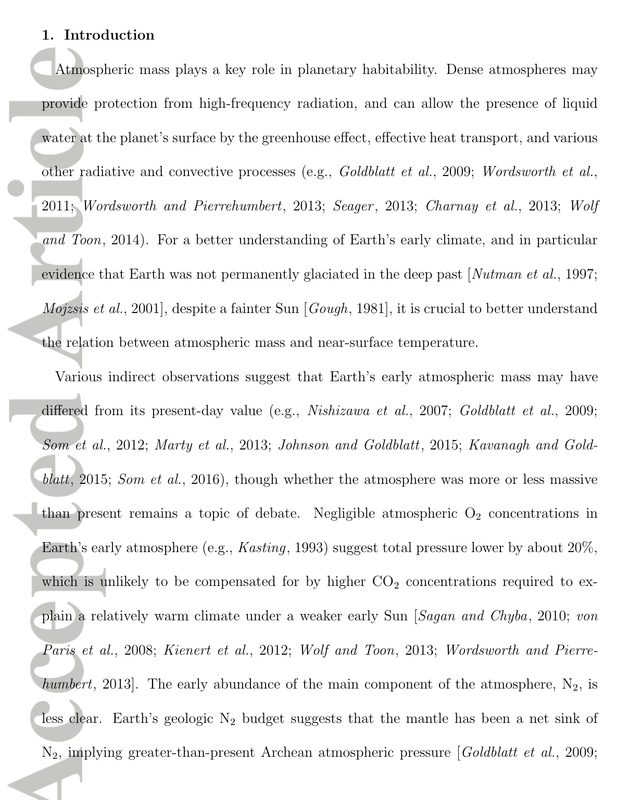 The effects of a different atmospheric mass on radiative forcing have been investigated in climate models of variable sophistication, but a mechanistic understanding of the thermodynamic component of the effect of atmospheric mass on early climate is missing. 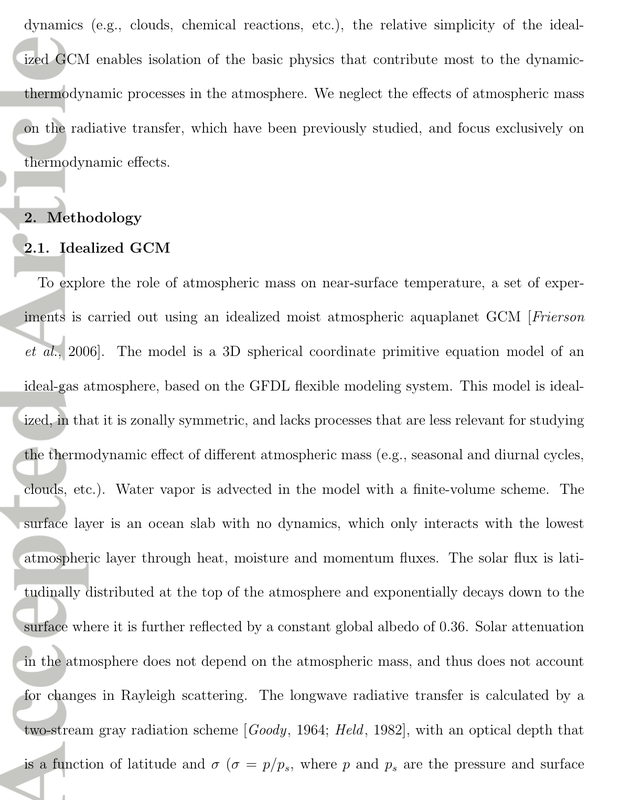 Using a 3D idealized global circulation model (GCM), we systematically examine the thermodynamic effect of atmospheric mass on near-surface temperature. We find that higher atmospheric mass tends to increase the near-surface temperature mostly due an increase in the heat capacity of the atmosphere, which decreases the net radiative cooling effect in the lower layers of the atmosphere. 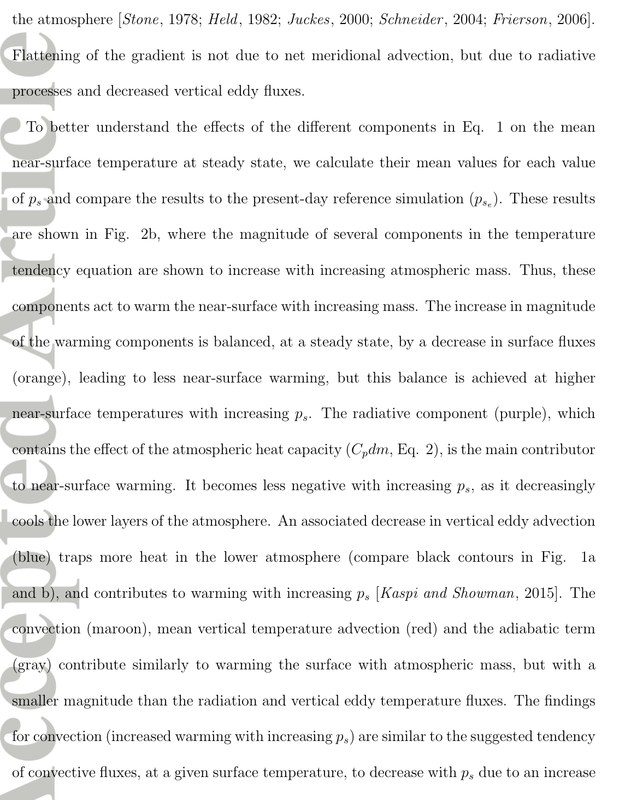 Additionally, the vertical advection of heat by eddies decreases with increasing atmospheric mass, resulting in further near-surface warming. 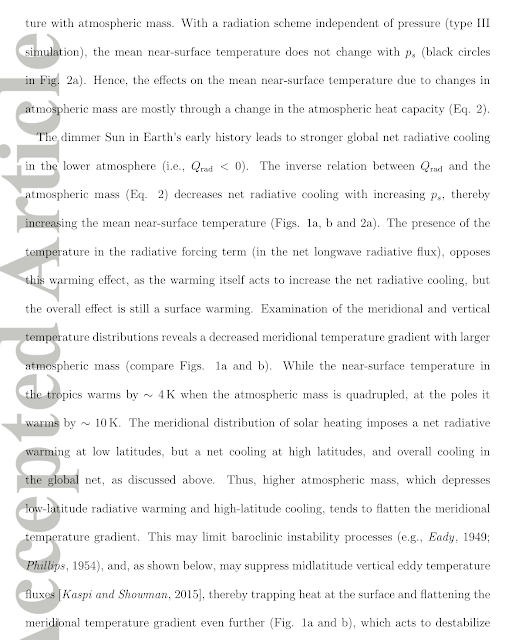 As both net radiative cooling and vertical eddy heat fluxes are extratropical phenomena, higher atmospheric mass tends to flatten the meridional temperature gradient. 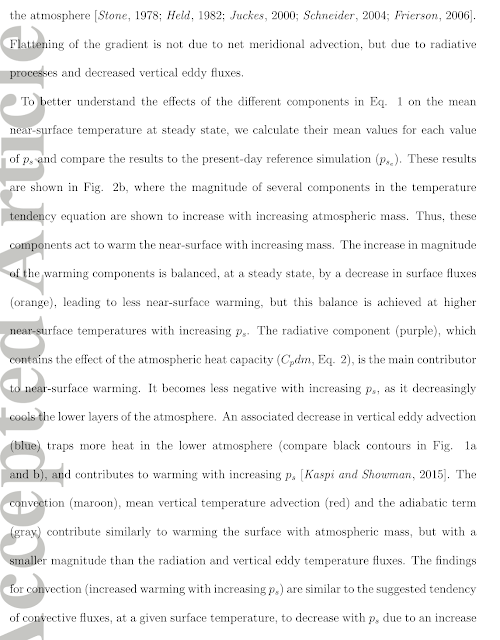 More specifically, atmospheric mass reduces radiative cooling of the surface by diverting surface kinetic energy into conduction and convective overturning. 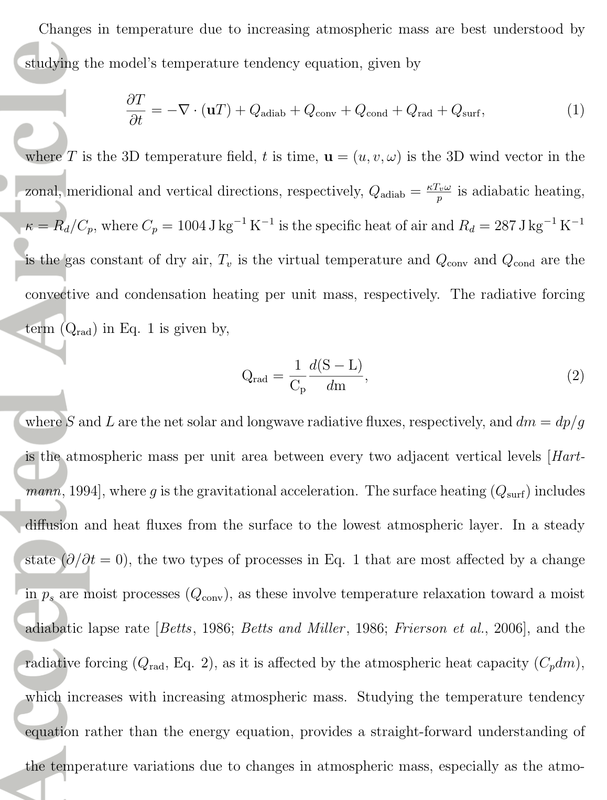 That diverted energy is then held permanently within the atmosphere to support the mass of the atmosphere off the surface against the force of gravity in hydrostatic equilibrium. 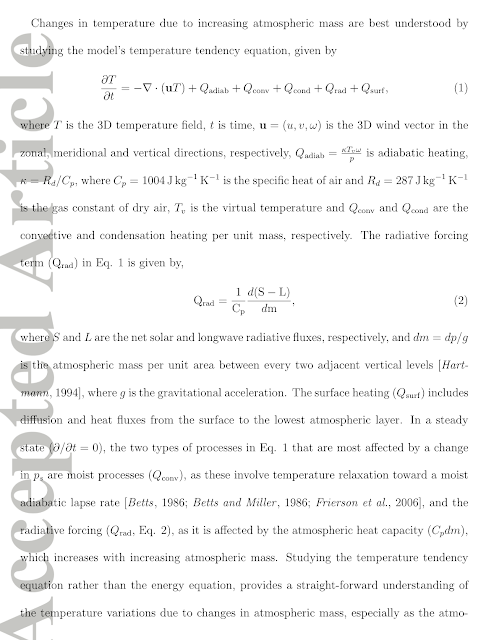 That inevitably requires the surface beneath a convecting atmosphere to be at a higher temperature than that predicted from radiative physics alone. 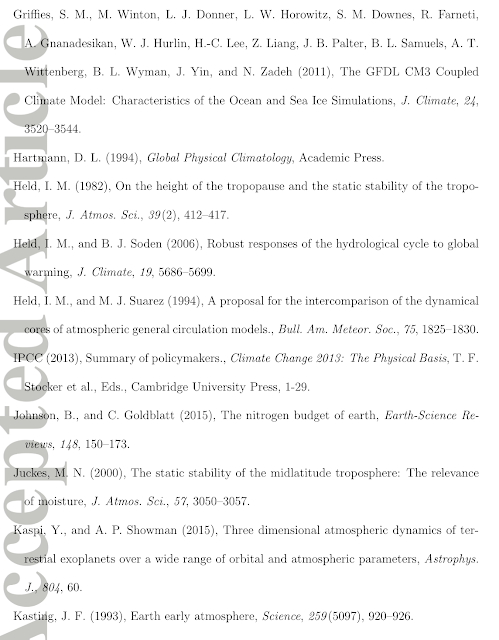 Yes, thank you Stephen for your comments. 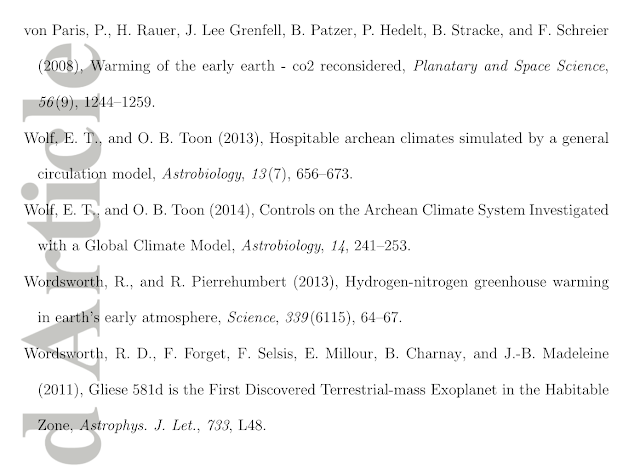 The sad thing is that this is more or less already known and well documented. 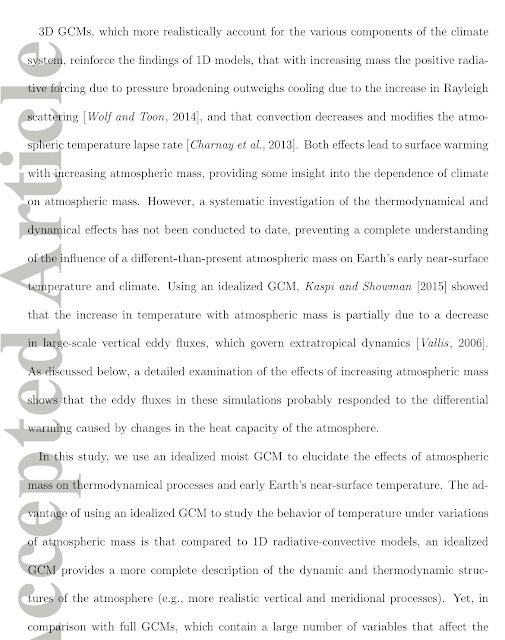 I forget the name of the effect...two names of scientists, like the bose-something or einstein-something effect. 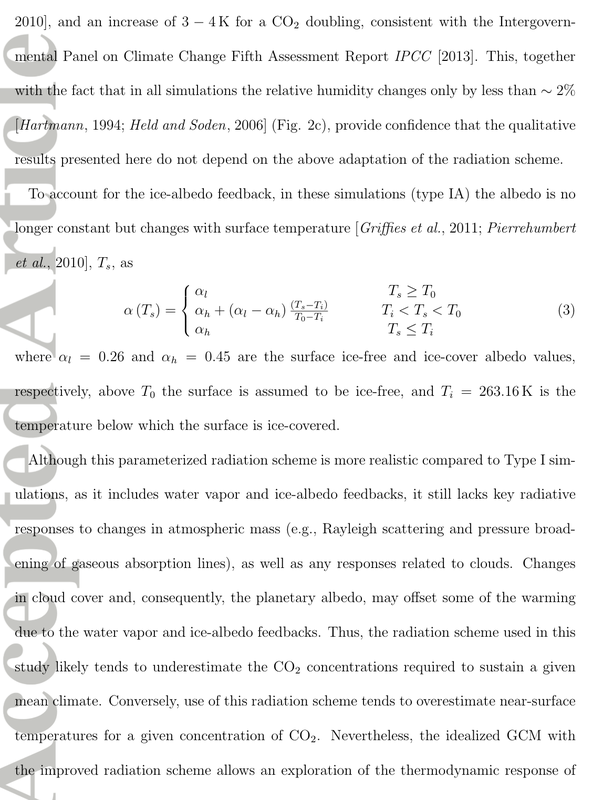 And James Hansen's work its self, while he blabbers about trivial GHG changes...indicates that basically most of the GHG forcing on venus is because of the reality of having a radiative surface at the cloud tops and following a lapse rate that is high enough to allow convection of surface energy. 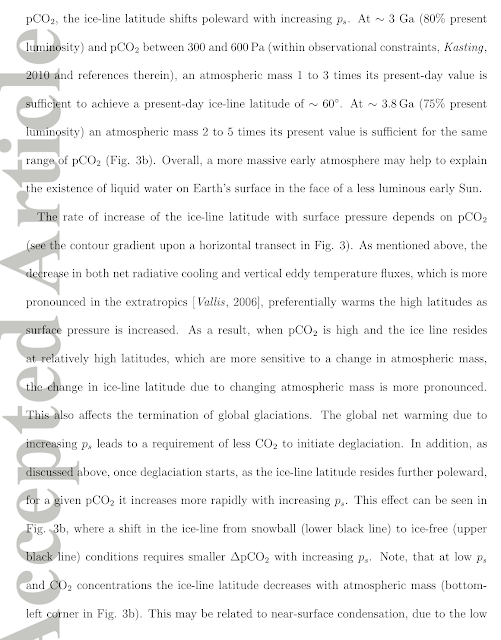 Oh and this might come as a surprise...but the average lapse rate on earth is substantially impacted by the fact that (brace yourself) the earth is mostly covered in water and has to follow the much higher, moist adiabatic lapse rate. 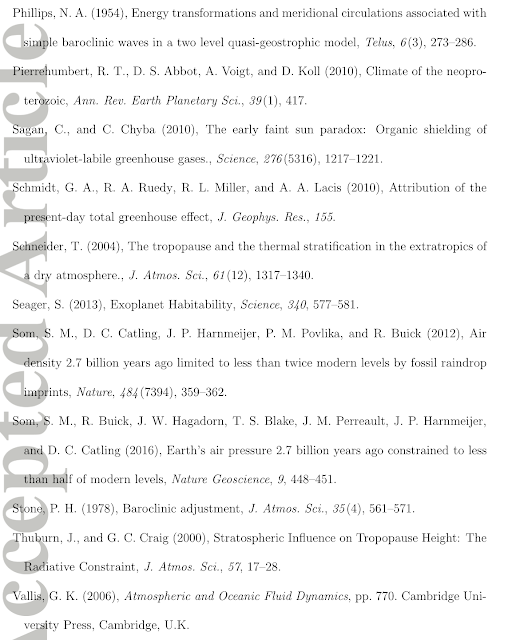 But I'm not really very good at those sorts of things, just some information I picked up in the years of studying climate issues. 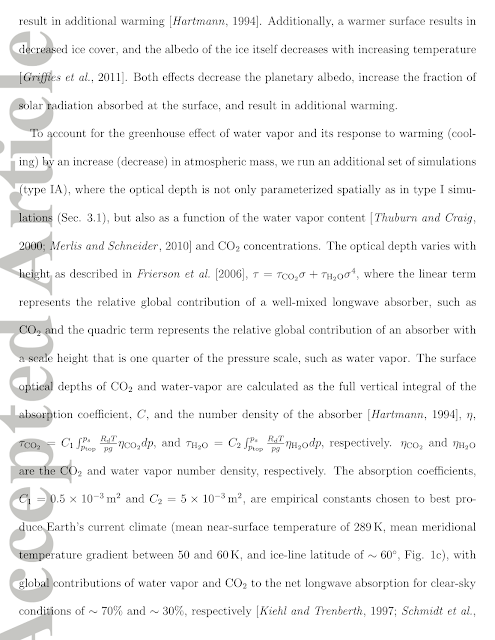 I think you're referring to Bose-Einstein statistics, from which Maxwell-Boltzmann distributions of gases in a gravitational field follow, ie the "gravito-thermal greenhouse effect"
Also, the moist adriatic lapse rate isn't higher than the dry rate, it is only one-half the dry rate. 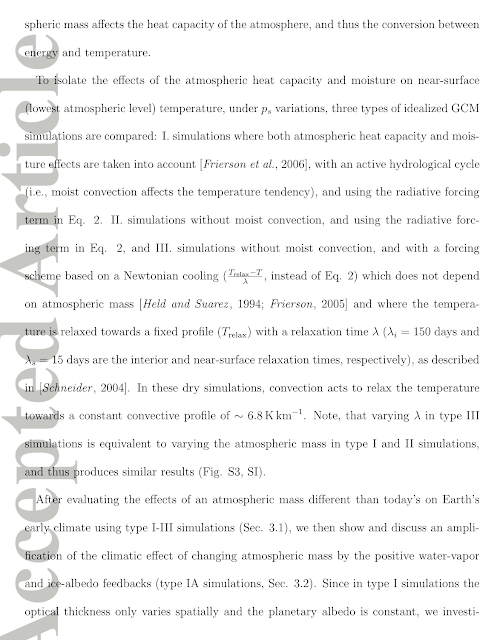 Water vapor thus increases atmospheric cooling and lowers the surface temperature substantially. 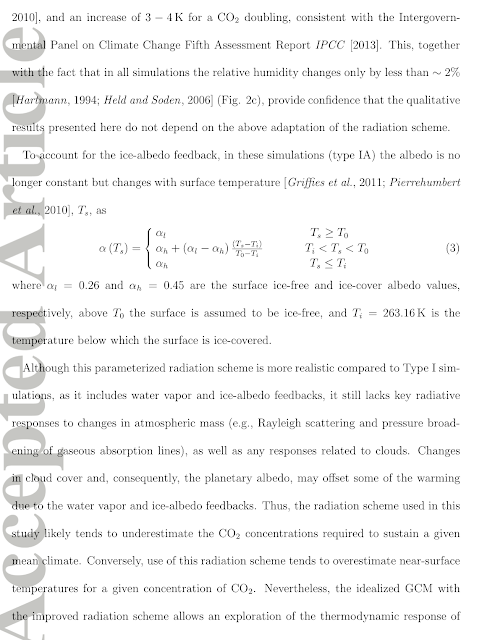 Very good and peer reviewed I must note. 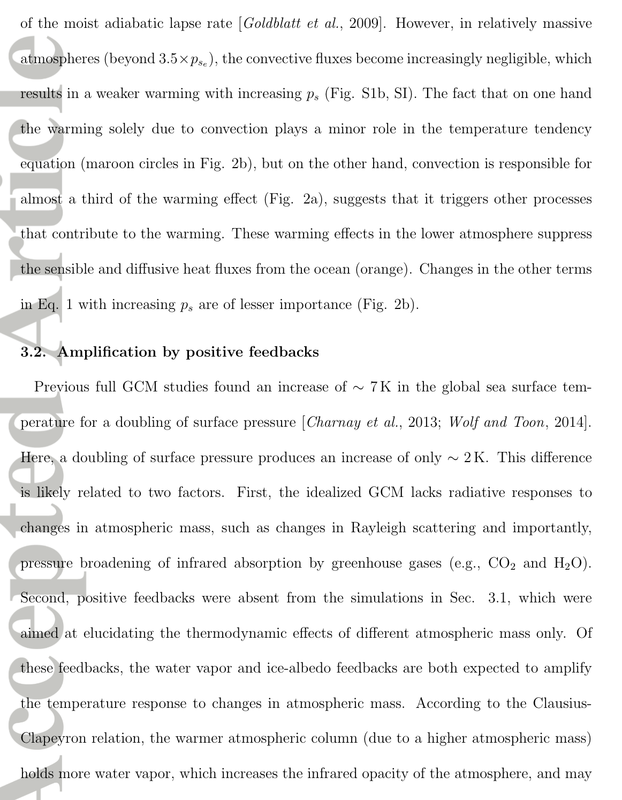 And totally consistent with the hypothesis that the "radiative greenhouse effect" merely acts as sort of delay line that (given the low thermal capacity) only changes the response time of the gases in the atmosphere. 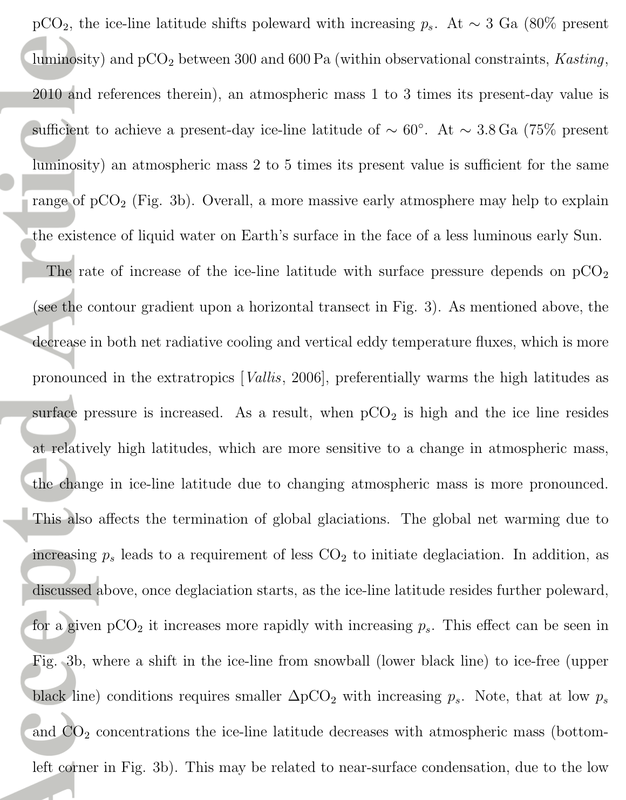 The gases warm just slightly faster after sunrise and cool just slightly slower after sunset. 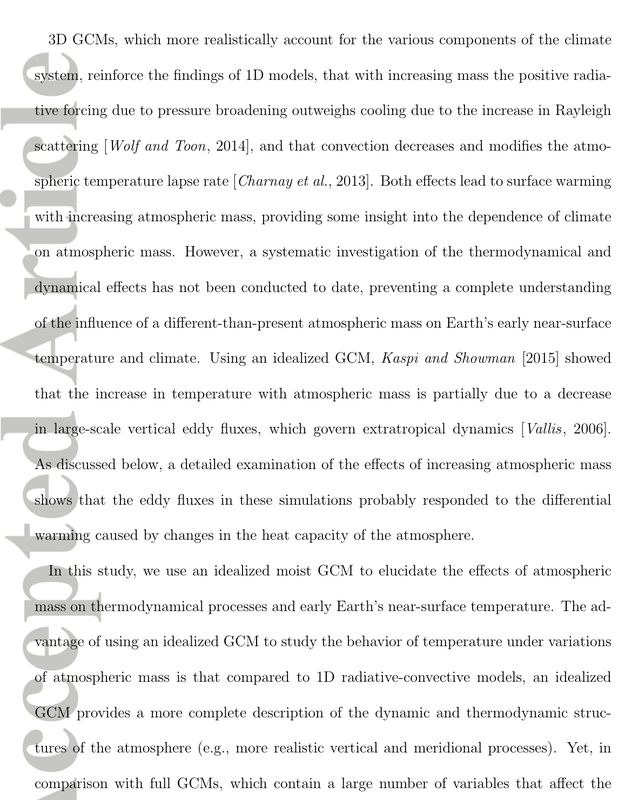 The historical data is not resolved enough (with respect to time of day) to confirm this hypothesis. 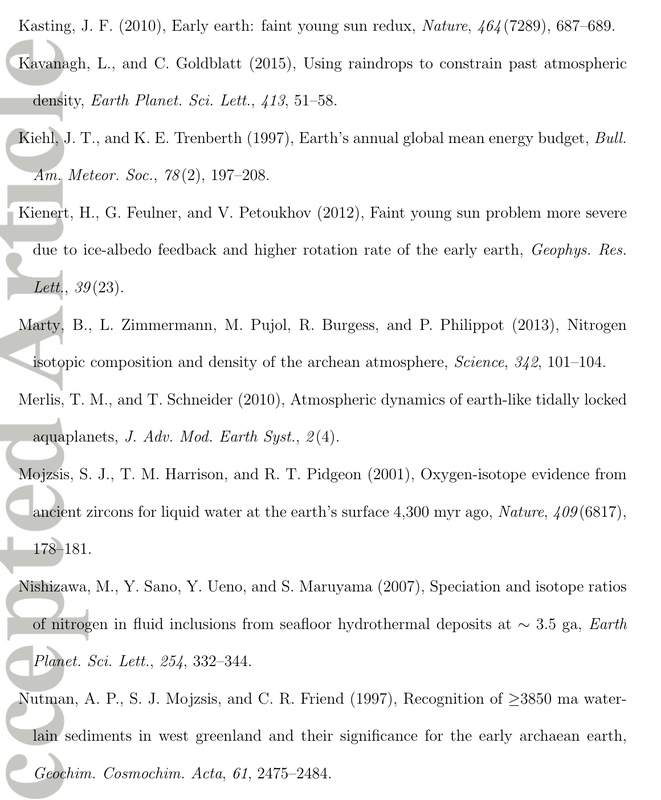 Thanks KevinK, good to hear from you again & keep strong. 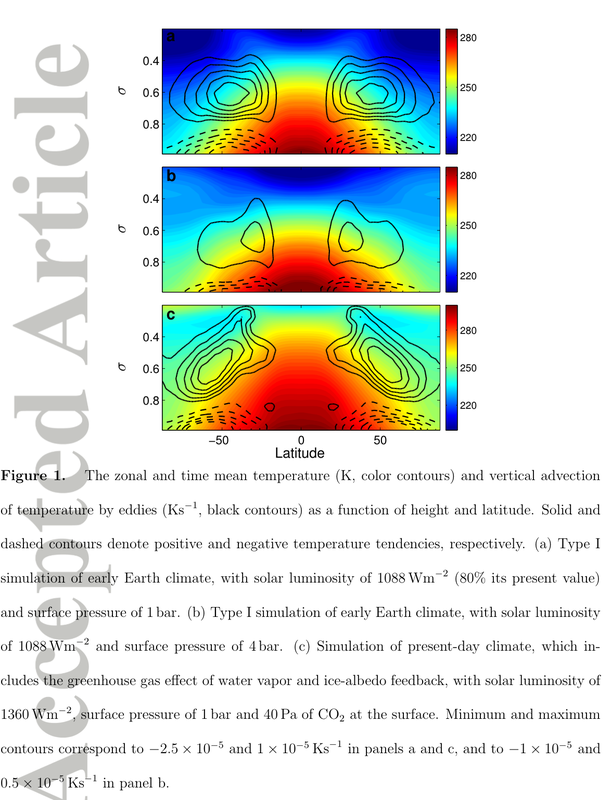 Greenland bounces. 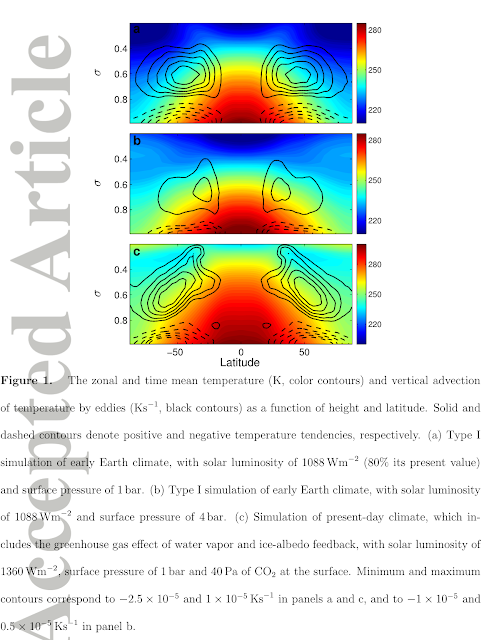 When the Sun's polarity changes, it bounces back again. 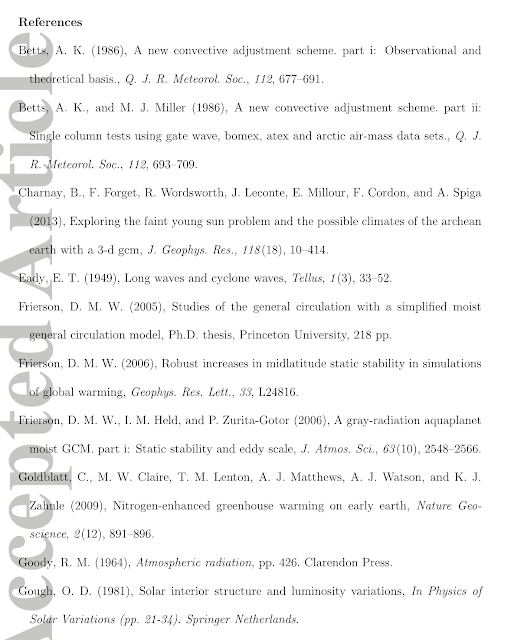 we should, as the article says, pay more attention to the impact of gravity in our calculations.